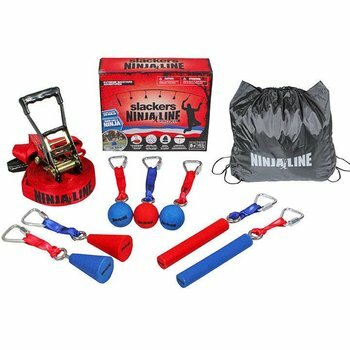 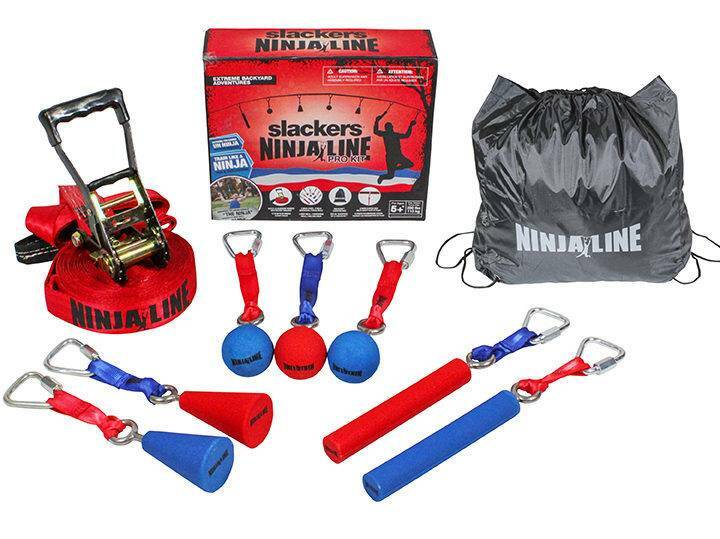 Train like a ninja pro with our patented Slackers Ninjaline™ 36′ Pro Combo Kit with 7 obstacles. 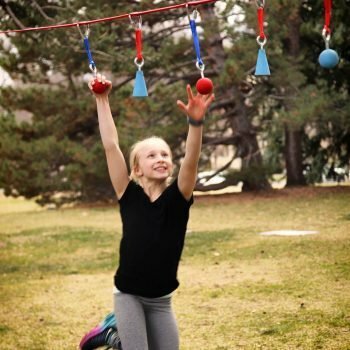 This backyard outdoor hanging obstacle course kit allows the versatility of moving the obstacles further apart as your skills improve and includes obstacles of varying skill level. 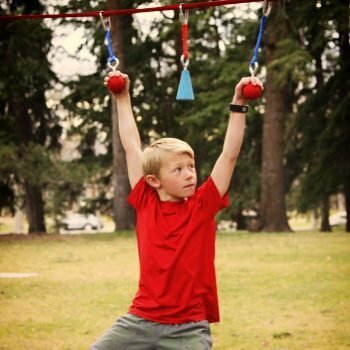 Easy to install and take down means that you can take your training with you, just be sure you hang it between 2 posts or healthy trees!